PROTHERM, LLC offers energy efficient custom infrared ovens used for stationary batch processes. Some applications include mould pre-heating, glue activating, drying, fusing, annealing, and curing. Product temperatures of 150 degrees F to 600 degrees F are common for Infrared Batch Ovens, while higher temperatures can be achieved. For the oven heat source, PROTHERM, LLC offers a variety of environmentally friendly electric infrared heaters, each with their own heating advantages and unique characteristics. All heaters are completely manufactured at Protherm, LLC, assuring you the highest quality, proper application, and continued support. 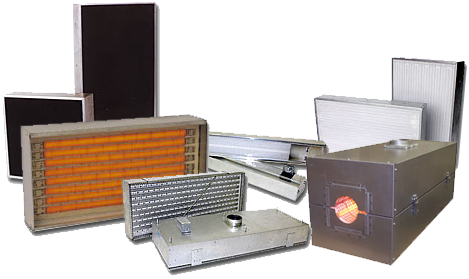 Along with infrared heat, we can include re-circulated or heated air input for a combination infrared/air oven. A reliable custom control panel can be supplied for the oven with optional timers, precise solid state controllers, and sensors as required. We also offer custom carts or racks to transfer or hold your products. All batch ovens are completely factory assembled, set up and tested prior to shipment to assure a simple trouble free start up.